It has long been said that truth is the first casualty of war. But is it possible that truth – pravda – was also the first casualty of the Cold War? For Nikolai Stepanovich Zaitsev – a Soviet veteran of some of the fiercest fighting of World War II – setting the record straight is of paramount importance. 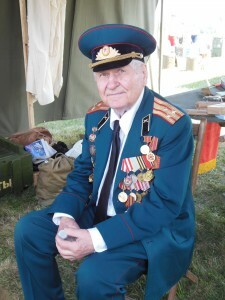 We met Zaitsev in the Soviet reenactors’ camp at this year’s Mid-Atlantic Air Museum’s World War II Weekend. Though not officially listed in the program as an invited guest speaker, Zaitsev was nonetheless embraced by those who stopped to listen to his compelling story. 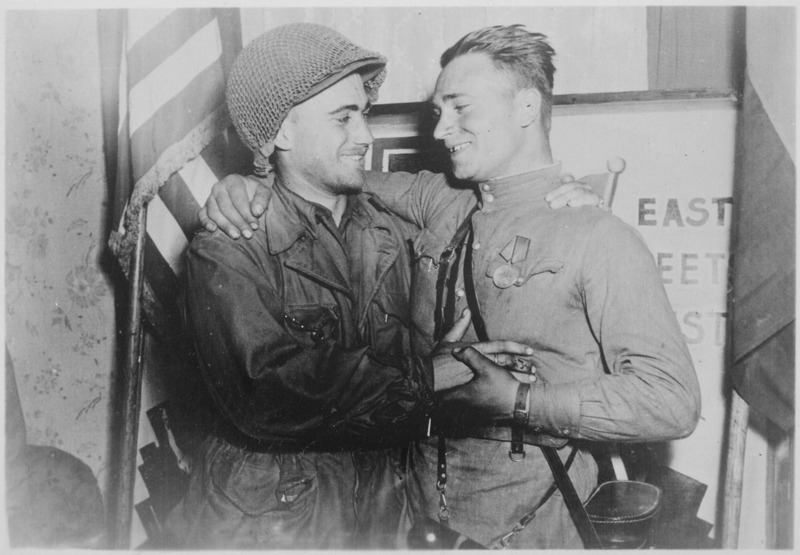 Zaitsev told the Baltimore Post-Examiner that he is both saddened and appalled that the sacrifices he and his comrades endured in defeating the Nazis are all but absent from American History books. “Americans were in a union with Britain, France and the Soviet Union. It was a coalition, but in the history books they claim America won the war. 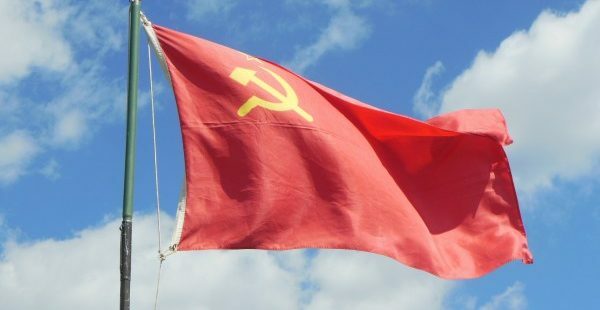 There is almost no mention of the Soviet Union,” explained Zaitsev, through the help of translators Svetlana Breniser and Yuri Drukarov. Admittedly, the Soviet side of the conflict is not a view most Americans know. When war finally erupted between Germany and the Soviet Union on June 22, 1941, American eyes were either turned inwardly, secure in the safety of two wide oceans, or nervously watching Britain bend but not break under months of German bombardment. The surprise attack at Pearl Harbor and subsequent war declarations by Italy and Germany meant the United States would spend the duration fighting its enemies on several fronts around the globe. With no Edward R. Murrow to broadcast from Moscow – the way reports filled the airwaves during the Battle of Britain – much of the fighting in eastern Europe became a mere footnote in America’s collective mind. When the war ended, American casualties numbered around 400,000. Soviet deaths are estimated to be in excess of twenty million people. “Do Americans know this? No! The reason most Americans don’t know is because it’s the journalists’ fault,” Zaitsev maintained. During the war, Zaitsev was a senior lieutenant. He explained he was in combat from 1943-1945, as Artillery Scout leader for a mortar regiment. In that capacity, he saw action around Leningrad and in the Baltic republics, as well as Czechoslovakia and Hungary. In the spring of 1945, his unit met Patton’s troops in Czechoslovakia. After the war ended, Zaitsev was encouraged to remain in uniform to train the next generation of Soviet soldiers. He retired, after thirty years of service, with the rank of colonel; a position (which he laughingly recalls) where he would sometimes double as a jackhammer operator. Today, he lives in the United States – a citizen of his adopted country. His story (along with those of other Soviet veterans) is in a book which he hopes to someday see translated from Russian into English. In the meantime, Zaitsev continues a second career as a journalist; writing for Russian language newspapers. And he remembers the war. On Father’s Day, the ninety-one year old veteran attended the First Day of War event in Pine Bush, New York. ; an informal church service followed by a walk to a cross dedicated to the victims of World War II. The event – which was sponsored in part by the Young Russia Society – serves as a reminder that the United States and Russia fought the Nazi juggernaut together. “In my heart, I have the warmest feeling toward the American people. Russia and America are neighbors, and with the common man, there is no natural animosity. We are simple people who don’t want to fight. That is how it should be with people everywhere. It is the governments which create the animosity. As people, we are happy to be friends. Thanks for commemorating Soviet contribution to the effort to stop the spread of Nazism. The Soviets marched into Warsaw first yet, whether because of Cold War politics or exclusive versions of our history from Plymouth Rock forward, many Americans do NOT know this. Fantastic article. Widespread American ignorance and ingratitude about this is a national humiliation.